This week we are following Andreas Zenker, who we featured this month in our Show Us Your Stuff column in our monthly edition of Wood News. Andreas is relatively new to woodworking, having just caught the woodworking bug about 4 months ago. 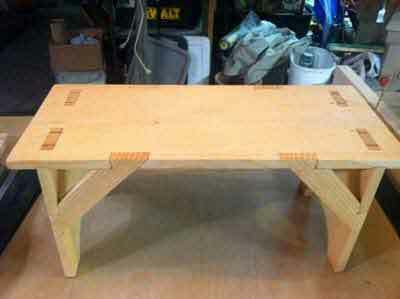 Like many woodworkers he has a day job, specifically as a computer programmer, but lucky for him it still involves getting to build things…just not with wood. 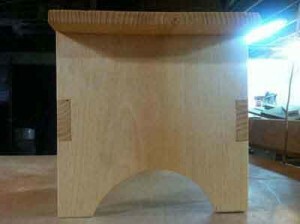 As a new woodworker, Andreas has turned to a lot of the online woodworking resources out there to get tips and ideas. These include Wood Talk, Matt’s Basement Workshop, The Wood Whisperer, Renaissance Woodworker, ShopTalk Live, Fine Woodworking and Highland Woodworking’s own show, The Highland Woodworker. 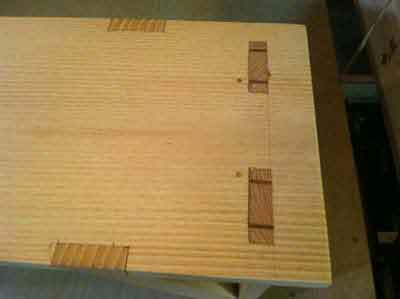 A lot of these resources offer a variety of projects from beginner to advance, which is how Andreas found his first project, an Eastern White Pine Stool. 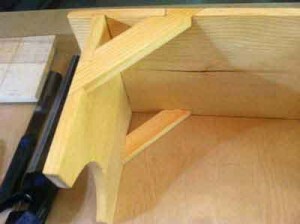 This project allowed Andreas to learn many different woodworking skills as he went through the building process, including the creation of dovetail-like joints and how to plane boards as flat as possible. Being able to learn as you go is a great opportunity for new woodworkers, which is a method Andreas took full advantage of and ended up with a great looking stool!